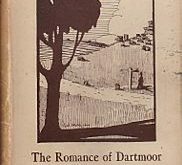 STANZAS – WRITTEN AT DARTMEET, ON DARTMOOR. No softer voice is heard to swell. Your mystic breathings to disclose! And tremble as the wild-winds rave. What sounds of air-born music float! What viewless hand the branches heaves! Far onward, in their fleet career. That makes the things of nature dear. His soul comes back! – that flood of song! The magic strings obey the call! From heart and hand the measures fall. The Bard your symphony shall heed. Exult in union with ye.